Harnessing the anti-aging power of resveratrol – an anti-oxidant molecule found in the skin of red grapes – ARCONA Wine Oil reverses signs of skin damage and rejuvenates dry skin, nourishing it to increase radiance and improve elasticity. Wine Oil’s grape seed oil base with linoleic and oleic acids provides anti-inflammatory, moisturizing support to the skin. Use daily before your regular hydrator. Suitable for all skin types, ideal in dry climates. 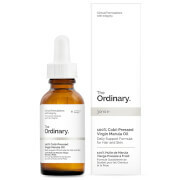 Use AM or PM when needed: Apply 2-3 drops to face and neck before hydrator. After lots of trial and error, I discovered that one of the best ingredients my skin responds too for anti-aging and smoothness is resveratol. I gave Wine Oil a try as it was much cheaper than the product I was using. I apply 2-3 drops - not quite a full dropper - every evening after a gentle face wash and I often pair with Arconia Magic White Ice. 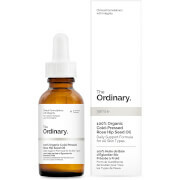 If I ever miss a night (tired Mom life) my skin practically drinks this stuff in! No breakouts (I’m acne prone), no greasy residue. One bottle lasts me about 3 1/2 months! Amazing product! Great smell and wonderfully moisturizing. Noticed a difference in skin smoothness and texture. Would definitely buy this again. I am surprised no one has reviewed this product, yet. This oil adds a great boost of hydration to my skin, and I love all the antioxidant properties to help heal and repair. Since my skin is more towards the oily/combination side, I use it at night under my normal moisturizer. It did not aggravate my acne, at all. I think someone with dry skin would have no problem with wearing this during the day time, assuming they give the product time to absorb before applying makeup. It has an unexpected cinnamon smell, but I quite like it. Another great Arcona product. I am glad I purchased this. I got this as a sample and have not stopped using it since. I have used other repair oils in the past and this is by far the best. I noticed an immediate difference in my skin tone and smoothness within 24 hours. I have problem (dry) adult acne skin and have been using Arcona's problem skin products. That regimen with the wine oil has really been the cherry on top to my glowing skin! This oil absorbs quickly, smells like cloves (which I think is nice) and delivers. Another great Arcona product.